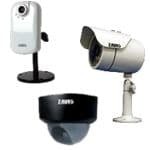 The Zavio CamGraba surveillance NVR software is used to monitor and record Zavio IP cameras. Another feature is the ability to playback and export the recorded audio and video data as an AVI file. The instructions below explain how to export video from Zavio CamGraba as an AVI file. 6. Your Video / Audio will now begin to export, once completed simply open the AVI to play the exported data.